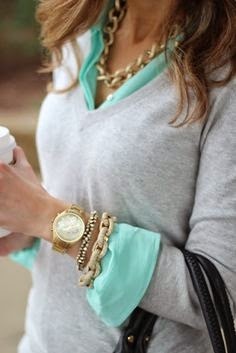 For several months now I have been swooning over Instagram and Pinterest pics with amazing fall and winter outfits! 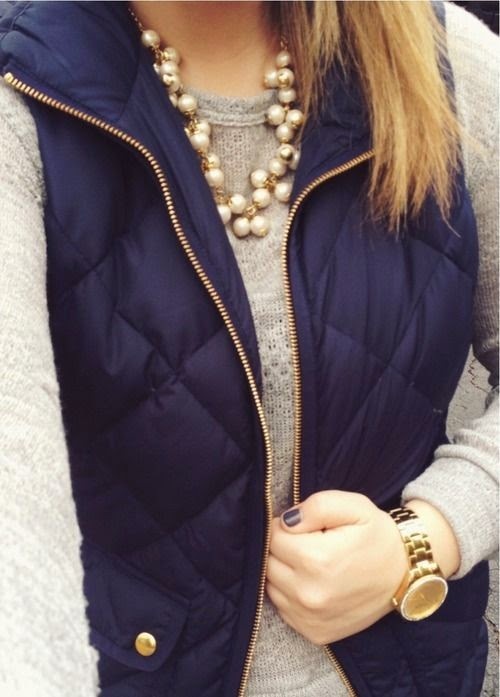 I adore the layered look, J Crew vests, and leather boots. Can we all take a minute to swoon together? Unfortunately I have been stuck in summer over here and if I layered my outfits may end up with heat stroke! This is the first week I have actually been able to "bundle up" (I used quotes because that consists of a long sleeve top and my North Face jacket...) and wear some boots! But up to this point I have been trying to transition to fall and winter without being able to wear the typical warm clothing. My solution? Wear darker colors and add plaid wherever possible! I love this plain navy dress from Aqua. It is so versatile you can bet you'll be seeing it again! The matching headband and scarf are hand made by yours truly! Find them in my Etsy shop if you'd like one of your own! These Michael Kors loafer style flats add a pop of color! Last but SO not least is this Loren Hope bracelet. It looks like a little bow and that makes it beyond perfect! 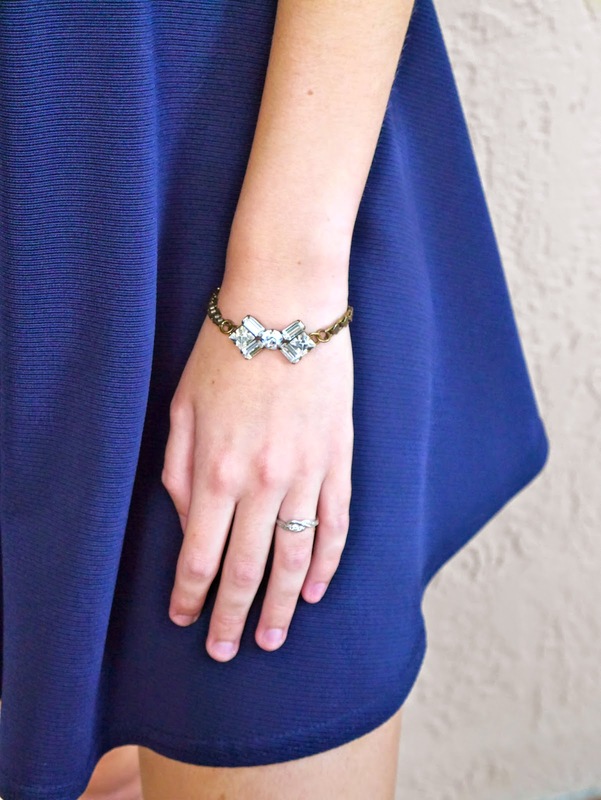 I got this bracelet through Rocksbox, a jewelry subscription service. Check out this post to learn more (we are talking designer jewelry for $19/month!!). Okay okay I can not possible complain about warm weather - I wouldn't want it any other way! But if there is one upside to living somewhere cooler (and I think there is only just this one up side) it would be the clothes!